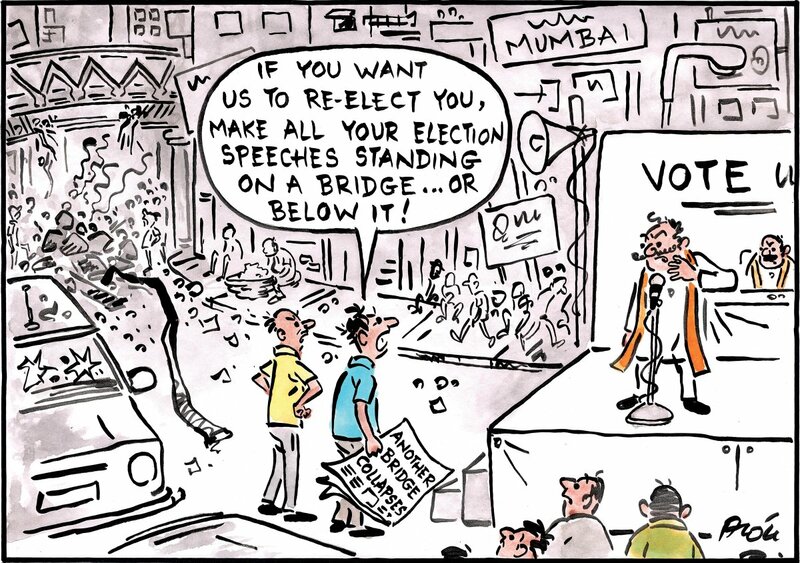 In the aftermath of the tragic foot-over bridge collapse near the CST railway station in Mumbai that killed 6 people, Alok Nirantar highlights previous mishaps — in Andheri and Elphinstone — in Mumbai with a caricature of angry voters. 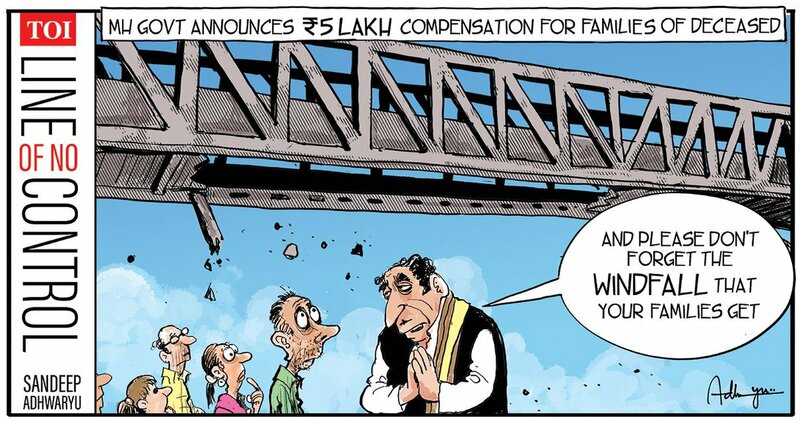 Manjul takes a sharp jibe at Maharashtra chief minister Devendra Fadnavis and Shiv Sena chief Uddhav Thackeray for the poor track record of the BMC after Thursday’s bridge collapse. 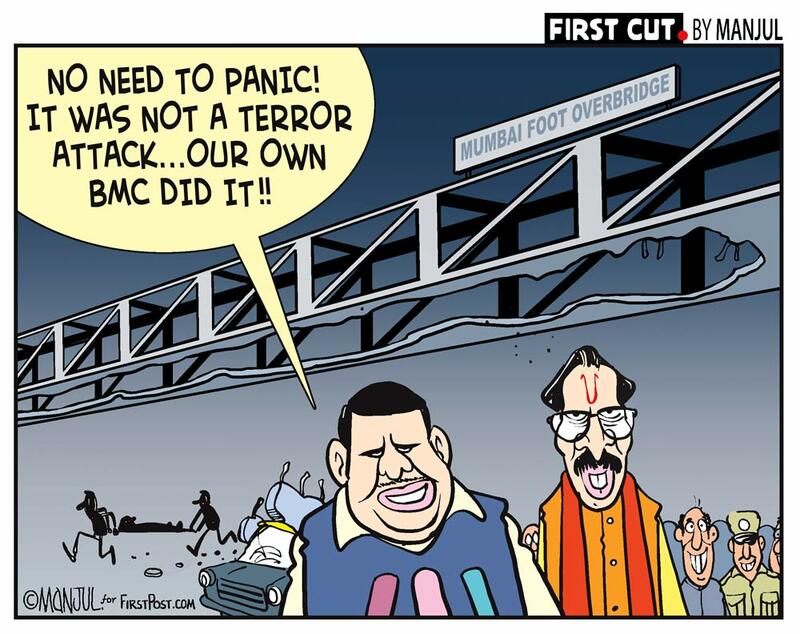 The two parties are in power at the BMC. 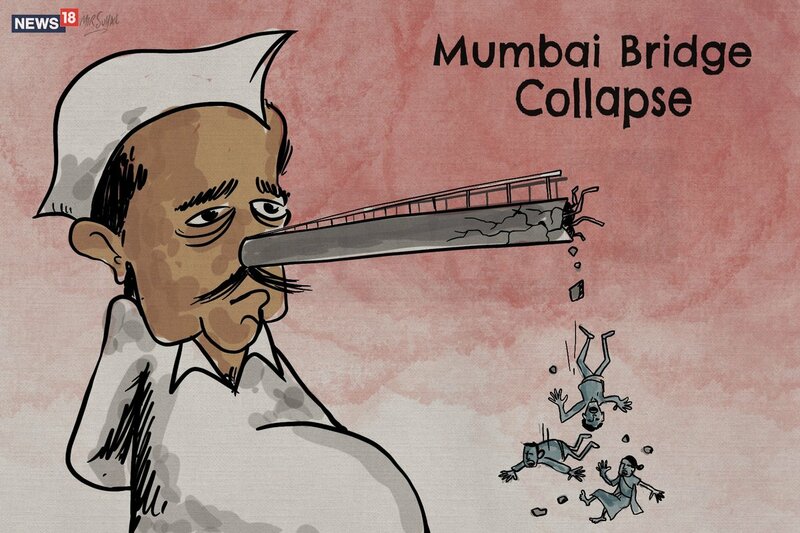 Mir Suhail also critiques the negligent governance in Maharashtra after the Mumbai foot-over bridge collapse. 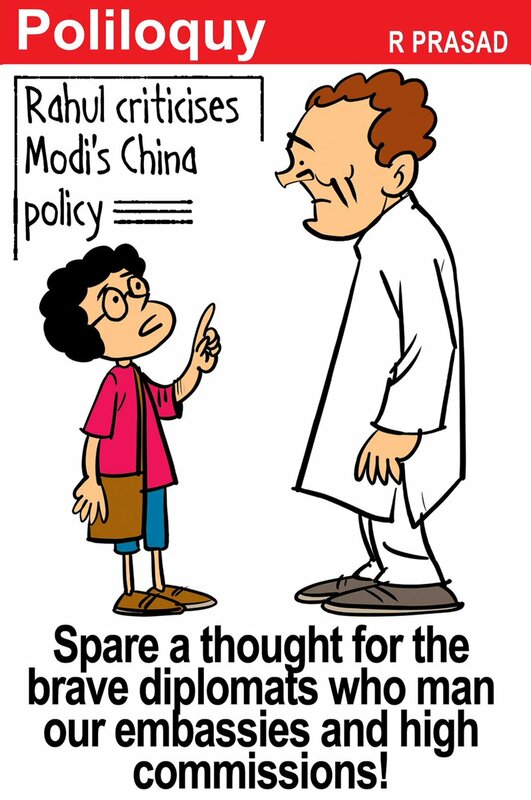 R. Prasad weighs in on Congress president Rahul Gandhi’s criticism of Prime Minister Narendra Modi’s China policy. With the latest casualty of Tom Vadakkan who quit Congress to join the BJP, Sajith Kumar takes a potshot at Congress president Rahul Gandhi for not moving out of his ‘comfort zone’ to manage alliances before the Lok Sabha elections. Congress also missed out on alliance with SP and BSP in Uttar Pradesh. 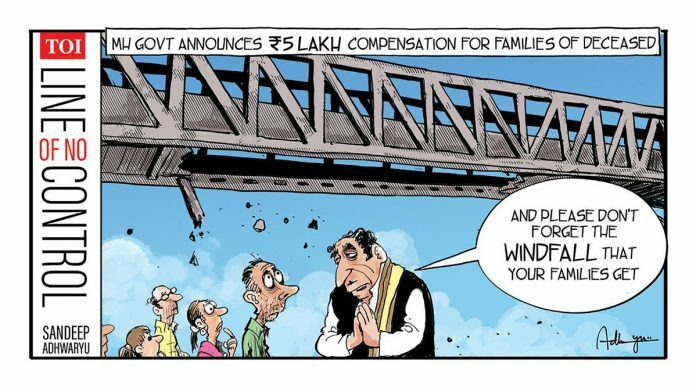 Sandeep Adhwaryu takes a dig at the Maharashtra government’s ‘windfall’ Rs-5 lakh compensation for the families of the victims in the Mumbai bridge collapse. 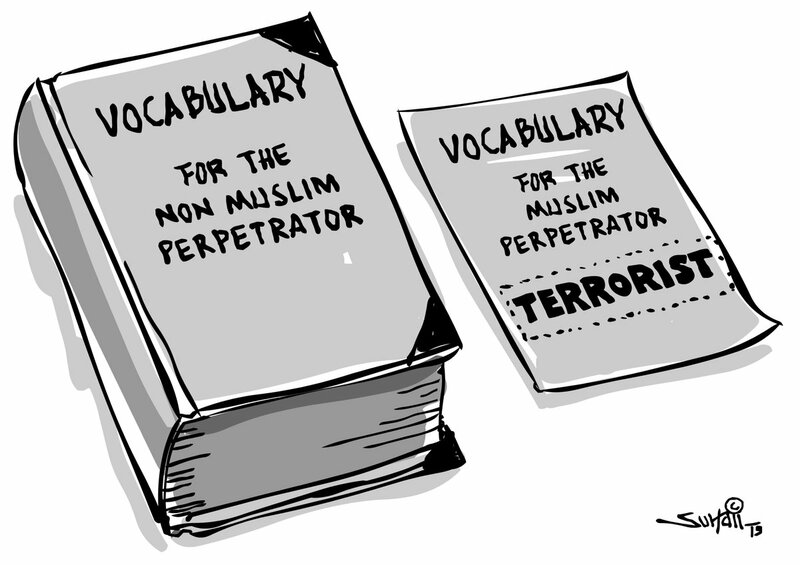 Highlighting the widespread use of the term ‘terrorist’ for ‘Muslim perpetrators’ of violence, Suhail Naqshbandi points to the hypocrisy of the media when it comes to reporting incidents like the Christchurch attack. 49 people were killed in the mass shootout in New Zealand Friday.